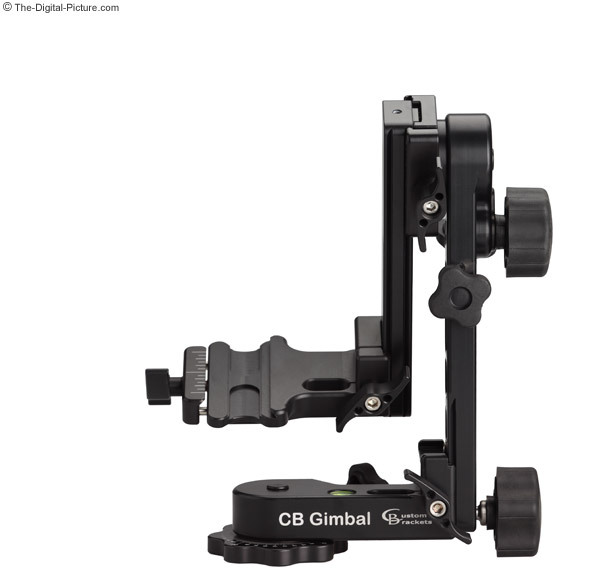 When Greg Muzila (Marketing Director, Custom Brackets) contacted me to suggest that I review the Custom Brackets CB Gimbal, my first thought was - I already have a Wimberley Tripod Head II that I love - and I have plenty on my to-do list right now. But as Greg and later, Mike Muzila (President), began describing the details of their gimbal head design with me, I grew more interested in spending the time necessary to evaluate this tripod head. I have long been aware of Custom Brackets and their reputation is for making high quality gear - with flash brackets as a specialty. And I'm always looking for an excuse to mount a super telephoto lens, so I consented to having a CB Gimbal sent to me with my promise to create this review. Why use a gimbal head? Because controlling a large lens on a ball head or similar mount is difficult and is asking for trouble. Gravity is constantly trying to pull your top-heavy ball head-mounted camera and large lens setup to the ground while you fight to maintain control over the rig. "Ball flop" is a painful term derived from this experience going bad. A gimbal mount, on the other hand, places the weight of the lens/camera setup below its pivot point, allowing gravity to center and balance the rig. When properly mounted on the Custom Brackets CB Gimbal, a heavy lens and camera body become nearly weightless to the photographer. Only two fingers are needed to move a setup such as the Canon EF 600mm f/4 L IS Lens mounted on a large camera body into position. The first CB Gimbal feature that caught my interest was the compact travel footprint. If you've ever traveled with the Wimberley II, you know that it takes up a very large chunk of space in your pack. The CB Gimbal, though it is similar to the Wimberley II in size and weight, disassembles, without tools, into 4 compact, easy-to-pack pieces as seen below. When traveling, I am usually installing/removing the head to/from the tripod for use/transport. While the Wimberley should have a tool inserted into a hole in the base to lock the threads for removal (super-tightening of the locking knob for this purpose is not a great idea), the CB Gimbal has a base section (bottom left in image above) that is easily grasped using fingers alone. The 3/8" x 16 threaded base, like the other three CB Gimbal parts shown above, is made of hard anodized machined aluminum (strong, light and scratch-resistant). A bubble level facilitates/speeds tripod leveling - which is important since gimbal heads do not have a horizon leveling feature (only pan and elevation adjustments). Of course, gimbal heads are primarily used with large lenses with tripod rings that allow for easy horizon leveling, but panning with a non-level head requires other adjustments to remain unlocked. The CB Gimbal base contains laser-engraved reference lines for quick setup - or for use in making panoramic images (more later). The Custom Brackets CB Gimbal base contains some key design features seen also in the upright piece (on right in image above). The first is the utilization of precision roller bearings for a very smooth panning/tilting adjustment action. Panning and tilting adjustments are both very smooth to make - especially with little or no drag applied. Another shared design feature is the pan/elevation drag knob that controls minimum drag resistance independently of the pan/elevation lock knobs - similar to how many ballhead designs work. This allows more-finely-tuned control over the setup. The separate, rubber-coated lock and drag knobs are easy to use and comfortable - especially in cold weather and with gloves on. The smaller knobs are drag controls and the larger are of course locking knobs. All knobs are captive. On the base, the third, not-yet-discussed knob is an assembly thumbscrew - part of a locking clamp. All three assembly clamps on the CB Gimbal have large, captive, machined aluminum wing nut. These are seriously-nice wing nuts that allow a lot of torque to be applied. The assembly clamp on the upright has a spring loaded safety wing nut to prevent accidental loosening. After setting up in the field, you should only be using the rubberized knobs. The clamp on the base receives the upright piece already discussed. The upright slides down into the base clamp until a safety-screw on the upright prevents further travel. The safety screw can be inserted into two positions, but only the bottom position allows the upright to be used on the CB Gimbal base (due to the clearance requirements of the panning lock knob). I'll mention the purpose of the second small, now rubberized, upright knob later in the review. An tilting clamp is mounted on the top of the upright. The long, narrow piece located in the center of the image above is the arm. Relatively featureless, the arm has a double-dovetail design that fits into the upright clamp (with a safety screw to prevent fall-through) and provides 5" of adjustment. The lens platform, consisting of a double clamp, slides down onto the arm until the arm's safety stop prevents further travel. The other lens platform clamp locks onto a lens plate mounted to the tripod collar of a lens. All locking mechanisms are constructed for long duty, heavy duty use. Drags utilize Delrin and locks utilize brass and aluminum. All fasteners are constructed of stainless steel. The Custom Brackets CB Gimbal is designed to last a very long time with essentially no maintenance. Custom Brackets backs up their design with a long 5 year warranty. Fully setup, the CB Gimbal, as seen below, hangs a camera and large lens below the pivot point of the mount - making the use of large lenses fast and easy. Mouse over the above labels to see the various images. All images are direct size comparisons - including the Wimberley II image. Revealed in the right-most image is the Custom Brackets GFM Gimbal Flash Mount/Bracket. It is only appropriate that a noted flash bracket company would have a well-designed flash bracket for their gimbal head. This is a very-solidly-constructed bracket - again, made of hard anodized, machined aluminum. Even the screws are machined - from 416 heat-treated stainless steel in this case - with folding stainless steel D-loops (for tool-free installation/removal). Two screwdriver-adjustable flash mount anti-twist plates are provided to keep the flash properly aligned. The top section of the bracket screws into one of 5 threaded holes in the clamp section with a solid anti-twist pin fitting into a hole next to the threads. 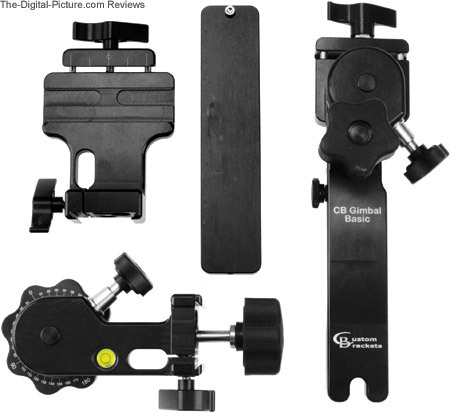 The GFM bracket clamps to the CB Gimbal arm as seen in the image above - or to a lens plate itself when using the "Basic" gimbal configuration (covered later in this review). By rotating around the upright, the clamp can be attached so that the upright can be locked into three 90-degree angle-separated positions - for great flexibility. In addition to the 5 adjustment holes on the bracket itself, excellent height adjustability is provided by the clamp on the arm. I mentioned another small rubber knob on the upright piece earlier in the review. This knob and the feature it controls, called the setup lever, can be clearly seen in image CB 4 above. By design, for safety reasons, the Custom Brackets CB Gimbal does not lock completely tight. CB Brackets indicates that its forgiving locks are the result of customer feedback. Custom Bracket's customers do not want their expensive cameras and lenses at risk be being knocked over if bumped or grabbed - they want the head to yield to these strong movements. Not locking tightly becomes a problem when changing a lens, adding accessories (including a camera body) to a mounted lens or carrying the tripod rig ready-to-use. This is where the setup lever comes into play. With the arm in the vertical position, the setup lever loosely locks into the back of the arm at a strong, 90-degree angle position - preventing more than a short range of travel. Problem solved. Similar to the Wimberley, the CB Gimbal assembled weighs 3.3 lbs (1,502g) and measures 9.75" x 8.5" x 3.785" (247mm x 216mm x 98mm)(hwd). Obviously, the Wimberley II does not disassemble and has a more simplistic design (4 knobs vs. 9). In the field, the Wimberley Tripod Head II and the CB Gimbal perform a similar function and work off of the same gimbal mount principle. 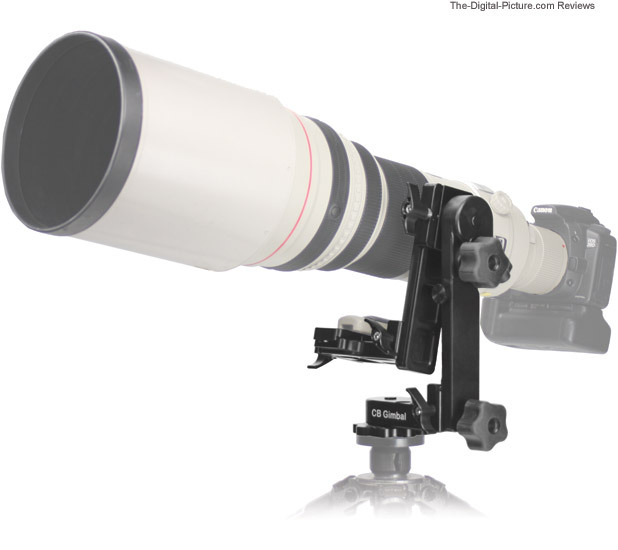 Both have the capacity to handle all current telephoto lenses. Both perform very well. But there is another big advantage to the CB modular design. All of the clamps on the CB Gimbal are Arca-Swiss compatible. Part of the beauty of the Arca-Swiss-compatible clamping system is that a huge range of accessories can be utilized to fill nearly any need. As I mentioned early in this review, the ability of the CB Gimbal to disassemble is a big advantage to me personally. But this component design goes much farther than for travel convenience. The two left-most images above show the Custom Brackets CB Gimbal in fully-assembled position with and without a camera & lens mounted on it. The third image above shows the lighter CB Gimbal LB, but the CB Gimbal can also be configured in this way - without the arm and the lens platform - for a lighter, more compact setup. The last two images show the CB Gimbal Basic Head. 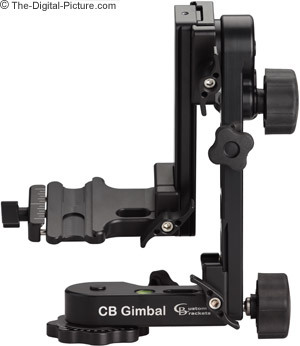 The CB Gimbal Basic Head can be purchased independently, but it is simply the upright portion of the CB Gimbal Head. 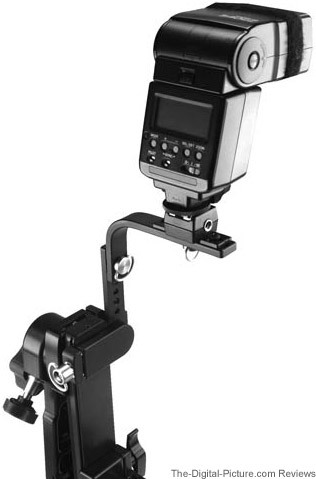 It mounts in a drop-notch-oriented Arca-Swiss compatible clamp of a ball head such as the Arca Swiss Z1 Ball Head. The ball head is locked down during use. The ball head's panning function is utilized in conjunction with the CB Gimbal's tilt function to provide a more "basic" gimbal feature. The Wimberley Sidekick provides this feature, but it is a separate purchase from the Wimberley Head II. It is also a less-compact product. When using a gimbal head, I often want to mount a smaller camera setup interchangeably. For example, I'm shooting wildlife with a 500mm lens, but I'm in a beautiful place that is calling for some landscape photos. When using the "basic" or Sidekick setup, the gimbal head can quickly be removed from the ballhead and the camera can be clamped on. Another option is available when using a camera with an L-Plate and the Custom Brackets CB Gimbal. Remove the arm from the upright clamp and clamp the camera directly into the upright clamp using the L-Plate. Horizon-leveling adjustments will need to be made with the tripod, but panning and tilting are available. Add a Perpendicular Plate or a longer nodal slide to the setup just described or to any full gimbal head and you have a nearly-complete panorama head with nodal adjustment capabilities. I say nearly complete because you still need to level the tripod itself for horizon as no provision is made by the head for this. The nodal slide is not needed by a collared lens, but all lenses with tripod rings require a lens plate/mount for any use of the GB Gimbal. And of course, Custom Brackets has high quality lens plates available. Show above is the largest of the two Custom Brackets lens plates, the GLM-1 (the GLM-2 is the other) note that the newly-revised CB lens plates have a double bevel design). Once again, we see hard anodized, machined aluminum with machined 416 heat-treated stainless steel screws and folding stainless steel D-loops. The CB GLMs are thicker than the Wimberley lens plates I am used to, but, the CB GLMs appear to be more rugged and the screws come in two difference sizes to directly match the tripod ring of the larger super telephoto lenses - no insert required. Tool-free installation/removal of the screws is a nice advantage and the laser-etched lines work with the same on the CB Gimbal clamps for easy alignment. The Custom Brackets CB Gimbal obviously has a lot of positive attributes and features. Are there downsides to this design? Not many. Additional features bring more knobs which detract slightly from the simplicity and comfort of use. More specifically, I find the elevation drag control knob to press against the base of my palm at times. To their credit, Custom Brackets has done a good job of placing the (needed) extra knobs in out-of-the-way locations. The other downside I find is that the modular design results in more flex than in the Wimberley II, which results in more vibration in the setup. The additional vibration is noticeable at 800mm but better at 500mm. Custom Bracket's reasoning for allowing the additional flex to be present was that this was not an issue for their customers 99.8% of the time because they were usually using image stabilized lenses and usually shooting in a not-locked-down setting (moving with the action) anyway. The smoothness of the head reigns supreme in these situations. Reducing the flex of this component design would require a larger, heavier head construction. And just to clarify - this is a very ruggedly-built head. There is nothing wimpy about it. The more time I spend with the CB Gimbal, the more impressed I am with this design. It is very obviously that a significant amount of thought, research, development and customer feedback has been put into this head. The Wimberley Tripod Head II retains some advantages (simplicity and rigidity), but at an even slightly lower price, the rugged, feature-filled, component-based Custom Brackets CB Gimbal seems like a bargain.